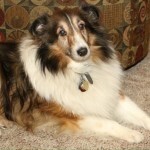 Misty is a very loving girl, and makes our life wonderful. 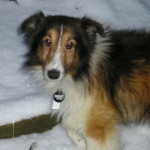 Misty loves to go out side…she get so excited when it’s time to go out, she hops and hops around. She don’t bother with other ppl once out side. She just wants to run, hop, play once her business is complete. When we come home after being out for awhile, she so excited to see us that she wants to play…again she hops, twirls, and twirls again. She’s a very happy girl, easy to get along with, but if the other fur kids are playing near her she’s barks at them as if to say, I’m sleeping, would you go play somewhere else. Misty is heartworm positive (being treated), incontinent, losing her sight, and her hearing is questionable, but all this means nothing at our house, because she’s so easy to love. She’s gives love, and receives love so easy..we love that’s she’s our permanent foster, and very happy to have her in our home. 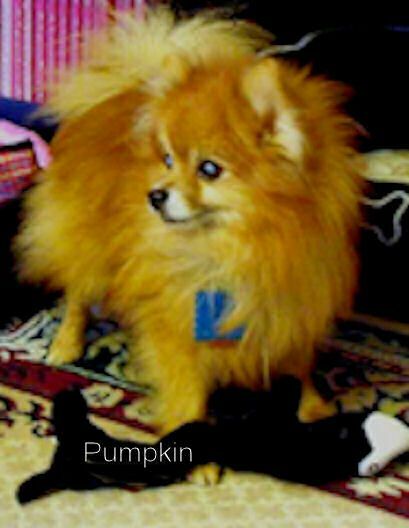 Pumpkin is a Pomeranian who came to us blind and weighing 7 pounds 8 ounzes.He was born in 2002. He is arthritic and very aggressive making him unsuitable for adoption.He had a few teeth pulled this fall.Just a couple of days ago had to have an eye removed due to a tumor that developed.He is doing well now and starting to hog all the toys again.He does not interact well with the other dogs perhaps due to his blindness and that he is sore so much.Right now he is on 2 medications.He is spayed and chipped and we love him very much. 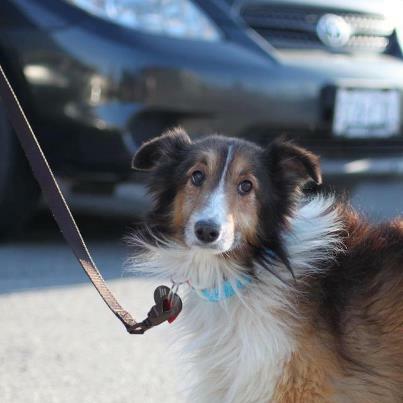 Robin arrived to the rescue on Nov 18 2012 from a high kill shelter in Joplin Missouri, where he was surrendered by his owner at the age of 10. When Robin first arrived in foster care he was very fearful. He also has a slight limp from a broken front leg that healed crooked. 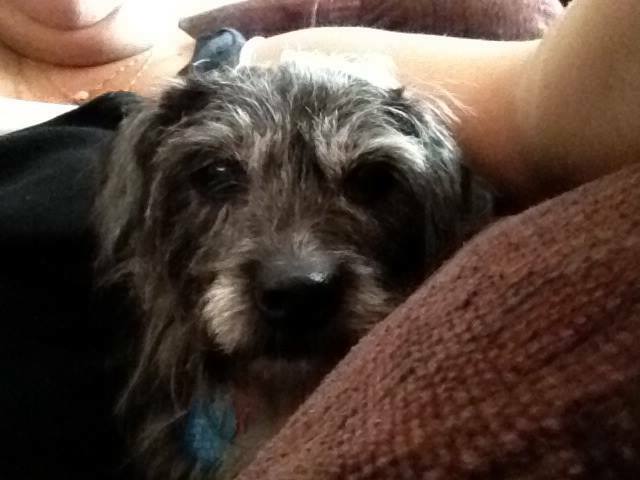 It was decided due to his fear and age he would become a permanent foster. Robin has come a long way from those first fearful days. So much so that in February 2015 Robin starred in a local theatre group’s production “Of Mice & Men” He enjoyed greeting the cast at rehearsals and getting lots of belly rubs. 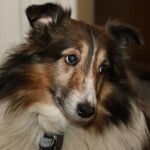 Robin has slowed down a bit but he continues to enjoy getting lots of love and going for walks to meeting new people.